No matter what type of Chevy you are looking to buy, your Tennessee Chevy Dealer can help you get to where you need to go. Looking for an SUV, a pickup truck, a recreational vehicle, or a sports car? Your local Chevy dealer has you covered. So why buy directly from a dealership? Here we will tell you the top reasons that you should shop with and buy from your local Tennessee Chevy dealer, like Carl Black Nashville, as opposed to private owners or an online company. Your local dealers can help you with way more than just selling you a car. This is probably the biggest reason that you should choose a dealership to shop with. Your local dealers can help you answer questions from the moment you begin your shopping with expertise because they are skilled in the knowledge of all Chevrolet products. Your local Tennessee Chevy dealer can also help you select the best car for your budget, lifestyle, and needs. When you’ve made your choice your local dealer will be able to help you secure the right kind of financing to complete your purchase. And don’t forget about after-sale care. Your local Chevy dealer has a full-service team that will guide you to a schedule for regular maintenance, and perform maintenance and repairs on your vehicle when needed using only manufacturer approved Chevrolet parts. So from inventory to financing, let’s take a closer look at how your local Tennessee Chevy dealers can help you find the perfect vehicle for your needs, lifestyle, and budget. Your local Chevy dealers will have a larger selection of Chevrolet products than any multi-car dealer will have stocked. Your local Tennessee dealer will most likely have a wide variety of cars, trucks, SUV, and crossover vehicles from Chevrolet, in both new, pre-owned, and used conditions for you to choose from. While you are shopping, you can count on the customer service team at your local dealer to have great expertise in Chevrolet products and the brand so you will have confidence that your questions are being answered with precision and care. Have a specific Chevy in mind? You Chevy dealer will likely have it in stock and be able to show you other Chevy vehicles you may enjoy. Simply head over to the lot at Carl Black Nashville and let our help sales staff give you a tour of our extensive Chevy inventory. Dealers will be able to tell you if another vehicle you are looking at is priced too high. Most dealers will tell you never to pay $500 over the invoice price. They will have advanced info on all the possible available finance options. No matter what your credit or budget is, a good dealership should be able to help you secure a type of financing that will fit your budget and credit score. Your local Chevy Dealers can guide you through the extra features and costs that you may be interested in adding or upgrading to with your new vehicle purchase. By carefully looking at your budget as well as the features that you find to be most important to fit into your particular lifestyle, your local Tennessee Chevy Dealers can help you make important choices when it comes to this aspect of your vehicle purchase process. Your Chevy dealers will even be able to help you create a customized schedule for regular maintenance on your new vehicle. By pre-scheduling your regular maintenance on your new vehicle, you can feeling confident that your vehicle with have the best chance of a long and dependable life of use. Your local Chevy dealers will be able to offer you assistance in all of these areas and more when you work with them on shopping, buying, financing, and maintaining your new or used Chevy car, truck, or SUV. Buying a new or used car can be stressful, but it doesn’t have to be. Your local Chevy dealer in Tennessee can help you shop and purchase a vehicle in a stress-free environment by giving you the information you need and the space and comfort to make the best decision for you and your lifestyle. Most people know about traditional vehicle financing via bank loans or leases. But what about when that is not an option because of a lack of cash upfront or a poor credit score? Your Chevy dealer can help you secure financing in pretty much every financial and credit situation. If you have fairly good credit, you will most likely be able to secure financing via a bank loan with the help of your local Chevy dealer. If you have less than desirable credit scores, you should still be able to finance a car, but may need to look at alternative options, such as buy here, pay here financing (BHPH). Buy here, pay here is a type of financing in which you make your monthly payments directly to your local Chevy dealer in Tennessee. These loans can have some drawbacks, like higher interest rates, but they also have many benefits. Buy here pay here can make buying a car a reality for those who are eligible for traditional financing. Buy here pay here dealer financing can also help improve your credit score by reporting regular and on-time payments to the major credit bureaus. No matter what your reason for visiting a local Chevy dealer in Tennessee is, you will be hard pressed to find a better place to shop for, finance, and maintain your new or used Chevrolet car, truck, SUV, or crossover than a well-credited and highly-reputable Chevrolet dealership in your local area. 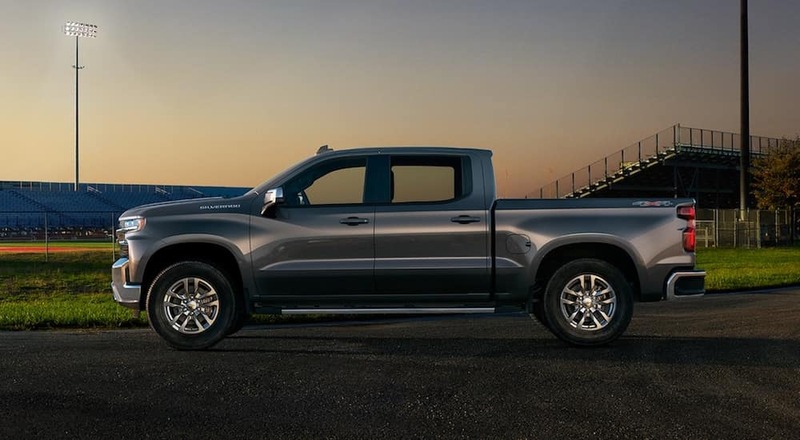 Carl Black Nashville is your local Chevy dealership in the Tennessee area offering a huge selection of the highest quality cars, trucks, SUVs and crossovers. 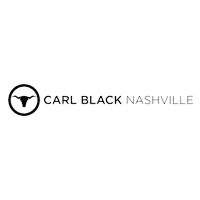 Carl Black Nashville is proud to serve our customers, both loyal and new, with our expertly skilled and caring customer service staff. Our finance experts are ready to help you secure the financing that you need in order to get behind the wheel of a Chevrolet of your dreams today. Once you buy from us, we look forward to having you as a longtime loyal customer. After you drive your Chevy off of our showroom lot, we want to help you maintain your vehicle as best we can with regular maintenance and repairs made only with Chevrolet manufacturer-approved parts and accessories. Stop by our showroom today, visit us online, or give us a call to see how we can help you find your new dream Chevrolet today!